Serge Mozhnevsky was born in Russia and was raised in Ukraine. He graduated from the Uzhgorod Professional College with a Diploma with Honours in Wood Carving. 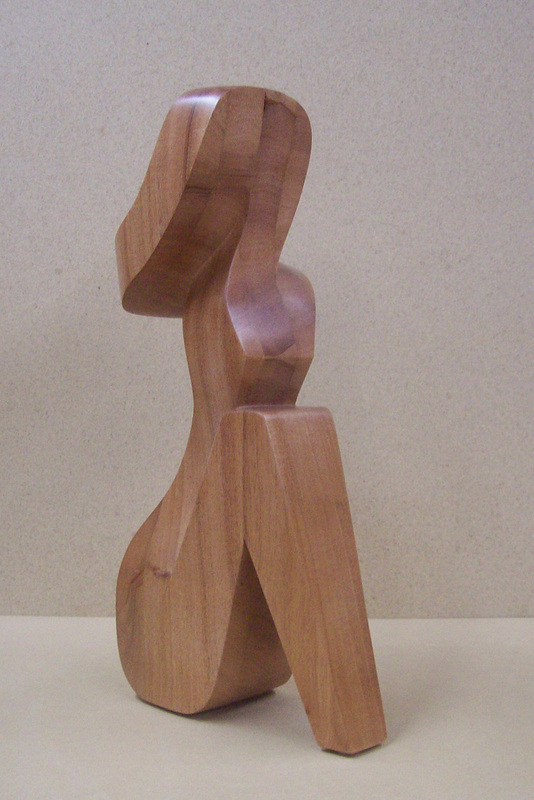 Serge’s sculptures resonate with the nature of the material he uses to exude physicality, gravity and intense emotion. His choice of materials, including fine wood essence or metal, combined with his individual expression through carving, establishes him as a very skilled artist. His work blends simplicity and sophistication in a very unique way and forms of great purity and balance result from this refinement. “ I believe that simple lines evoked by natural forms provide the greatest freedom for our emotions and imagination.”Mozhnevsky participated in numerous Ukrainian and international exhibitions. An internationally acclaimed sculptor, his works are part of private collections in Europe and North America. Serge moved to Canada in 2000 and now lives and works in Vancouver.